I just purchased a (new to me) 2016 versys 1000 in Green, to go along with my Concours 1400. 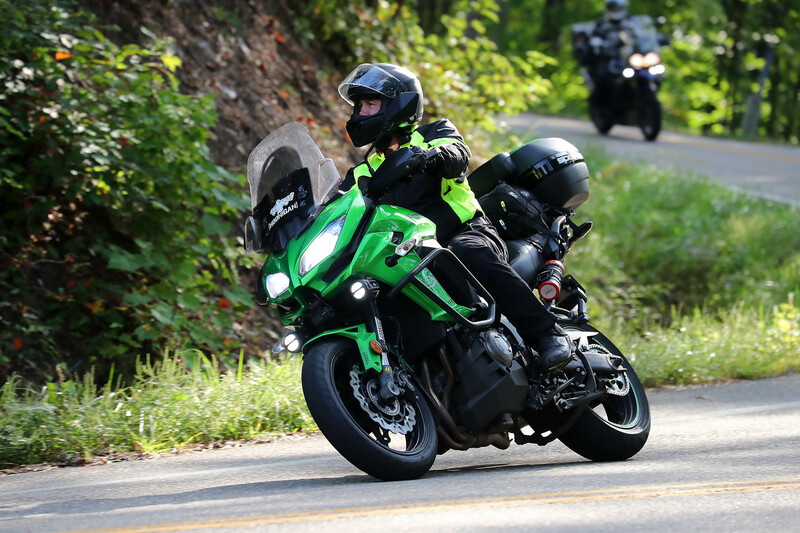 The versys is very nimble and seems custom tailored to the smoky mountain roads (like the dragon and many others) that I love to go on every year in the states. I encourage any riders who live nearby to Hampton Ontario Canada (near Oshawa) to reach out, as i'm always up for a ride! It will be interesting to see how you divide riding time between the two bikes. We actually have a number of immigrants from the Concours to the big Versys on this board, and another few who keep both up and running. Happy riding safely to you, and enjoy the forum. Welcome..you got the best color...and here is what your bike will look like on the Dragon..
A very warm welcome to you sir. to the forum Greenmonster. You have chosen a great bike in a great colour! Welcome to the forum from West Wales, I'd be very interested in your thoughts between your two bikes as well. Have fond memories of the Dragon, I did it a few years ago on a two month trip across the States, but unfortunately at the time I was on a loaded DR650, but still a great road. However, the good news is that countries like Spain have equally brilliant roads and are a bit closer to home so the Vk can get a good workout. Thanks to everybody for the very warm welcome! Crosshairs, Thanks for showing me that pic of you on the Dragon, I am counting the Days til I'm back there to give the Versys a workout on all the amazing roads down there. The 2019 Project "no Chickenstrips" is in the planning stages already, lol! Tyke, its great to hear a confirmation of what I thought even as early as my test ride on the Versys. It is very agile and a perfect candidate to hit the twisty mountain roads with! Bart, as I get more seat time on the versys, I will definitely be able to provide my thoughts on the difference between the two bikes. Already, I have a new v-stream windshield on order, since the stock shield is little more than a toy.